The eager traveller who actually takes the step to complete their bookings as part of the organisation of their trip to North Wales will naturally be lured by the region’s rich, rich history and the natural beauty to go with all of that, but even if the weather may not quite be as sunny as you’d like it to be while you’re visiting, no visit to this region is complete without hitting the coastline. You can take your pick from the many beaches which make up the North Wales coastline, but preferably you should check each and every one of them out because there is something rather unique to take away from each of them. 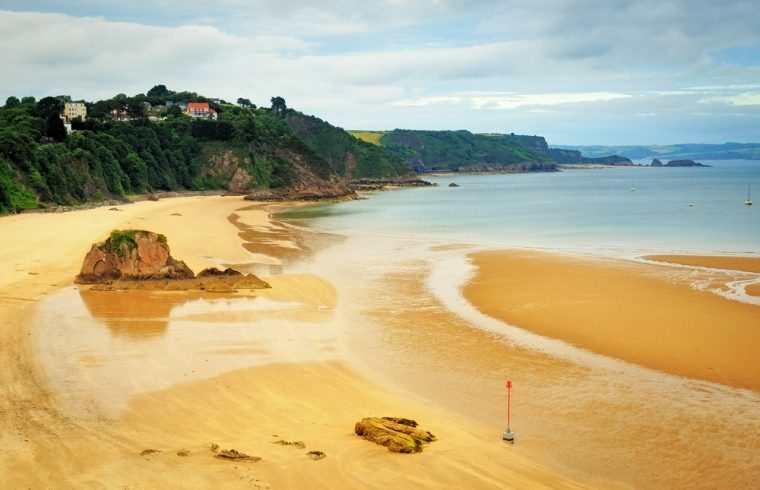 The typical UK weather tends to be a bit friendlier to some fun in the sun in this part of the world, however, so if you’re spending more than one day in North Wales chances are you’ll be able to head on out and hit one or more of the beaches of North Wales. Yeah, it is indeed somewhat of a tongue twister, but all you need to know is that the university town of Aberystwyth makes for a great cultural centre of Wales, but if it’s the beach element of this historic market town you’re particularly keen on then you’ll need to head on over to Borth, a nearby village with the sandy beach you’re looking for. This is a rather long beach so there’s plenty of space for every type of beachgoer, with quite a bit of history to revel in while you’re enjoying some fun in the sun. Okay, so we’re heading more towards the north-western region of the North Wales coastline with Barmouth, but what used to operate as a state port is definitely worth the visit. The popular tourist centre boasts a beach that stretches on for all of six miles into the north, all the way to Tal-y-Bont village. Book a nearby holiday cottage and you can enjoy some fun in the sun to your heart’s desire! If you want to complement your beach-going exploits with a little more of a cultural experience, head about a mile inland to enjoy the spectacular sights of the Harlech Castle. If you’re familiar with the Isle of Wright then you’ll perhaps love a visit to Anglesey, which is around the same size, but not even half as populated as the Isle of Wright. The ancient Celts regarded Anglesey as a holy place, but for the beach-loving traveller, it will probably be held in the same regard with its fine selection of 26 unspoilt beaches. If your trip to North Wales has you stopping over or perhaps even lodging in Snowdon, you might as well head on over to Porthmadog which is only a stone’s throw away. Which is the highest peak in Wales and England makes for the ideal base from which you can explore the coast. If you want your beach experience to be one which boasts a bit more of the rugged beauty of Mother Nature, this is definitely the place to be, otherwise, normal beach fun activity can get underway! There are plenty of accommodation options in Wales. It’s a firm favourite for camping and self-catering cottages. There are literally thousands to choose from. iKnow UK has created a great guide of where to stay and what to do wherever you stay in Wales, but their choices for the North Wales Coast are really great.